^ The Walt Disney Company and Affiliated Companies – board of directors. The Walt Disney Company. [October 2, 2009]. ^ Thomas J. Misa. 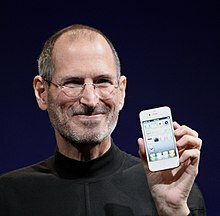 Steven P. Jobs (1955–2011). Science. 2011-11-18, 334 (6058): 919–919 [2018-04-02]. ISSN 0036-8075. doi:10.1126/science.1216019 （英语）. ^ Tim O'Reilly. Steve Jobs (1955–2011). Nature. 2011-11-02, 479 (7371): 42–42 [2018-04-02]. doi:10.1038/479042a （英语）. ^ The Marketing Genius of Steve Jobs - Part One. [2013-07-15]. （原始内容存档于2013-07-15）. 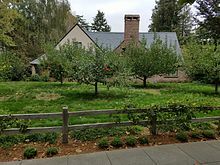 ^ Steve Jobs' Magic Kingdom. 商業週刊. 2006-01-06 [2006-09-20]. ^ Brent Schlender, 25 most powerful people in business. （原始内容存档于2012年9月15日）. , CNN money. ^ Apple – Press Info – Bios – Steve Jobs. Apple Inc. May 2006 [September 20, 2006]. （原始内容存档于2006年10月17日）. ^ Vivek Kaul. What Steve Jobs did when he was fired from Apple. DNA. May 11, 2009. （原始内容存档于2012年7月24日）. 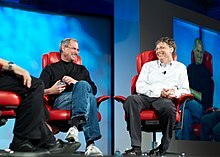 ^ Apple's Jobs is most powerful businessman-Fortune. 財富（英语：Fortune). 2007-11-27 [2007-11-28]. ^ Burrows, Peter. Steve Jobs: He Thinks Different. 商業週刊. 2004-11-04 [2006-09-20]. 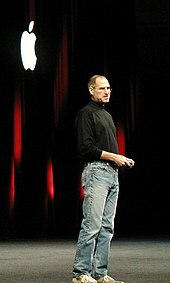 ^ Apple - Press Info - Steve Jobs Resigns as CEO of Apple. ^ Apple - Press Info - Letter from Steve Jobs. ^ Fiore, Kristina. Jobs Leaves Lessons for Cancer Care. MedPage Today. December 28, 2012 [July 14, 2013]. （原始内容存档于2014-04-10）. ^ Physician Biography for Barrie R. Cassileth. 互联网档案馆的存檔，存档日期2011-11-13. ^ Liz Szabo. Book raises alarms about alternative medicine. USA Today. June 18, 2013 [June 19, 2013]. ^ Statement by Steve Jobs' Family (新闻稿). Business Wire. 2011-10-05 [2011-10-06]. ^ Statement by Apple's Board of Directors (新闻稿). Apple Press Info. 2011-10-05 [2011-10-06]. ^ Remembering Steve Jobs. 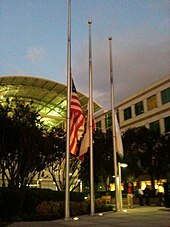 Apple Inc. [2011-10-06]. ^ A Sister’s Eulogy for Steve Jobs. The New York Times. [2011-10-30] （英语）. ^ 乔布斯胞妹悼词：爱是他的众神之神(全文). 新浪网科技时代. [2011-10-31] （中文（简体）‎）. ^ 連說3次「oh Wow」賈伯斯臨終遺言 (新闻稿). 自由時報. 2011-11-01 [2011-11-01]. ^ 81.0 81.1 《乔布斯在生命最后时刻满怀歉意》. 新浪网. [2011年10月8日] （中文（简体）‎）. ^ 《乔布斯的家庭生活：妹妹是我世上最好的朋友》. 华夏经纬网. [2011-10-08] （中文（简体）‎）. ^ 85.0 85.1 天人永隔的乔布斯与生父 互联网档案馆的存檔，存档日期2011-11-11. ^ family statement steve jobs serene walked 互联网档案馆的存檔，存档日期2011-10-11. ^ 《揭乔布斯生前浪漫情史 女儿就读哈佛成作家》. 新华网. [2011年10月9日] （中文（简体）‎）. ^ Vejvoda, Jim. Ashton Kutcher is Steve Jobs. IGN. 1 April 2012 [2 April 2012]. （原始内容存档于2012年4月7日）. ^ Sciretta, Peter. 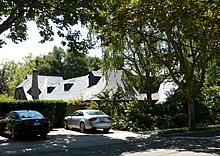 Ashton Kutcher's Steve Jobs Movie 'jOBS' Begins Filming in the Original Apple Garage. /Film. 19 May 2012 [19 May 2012]. Butcher, Lee. Accidental Millionaire: The rise and fall of Steve Jobs at Apple. Paragon House. 1987. ISBN 978-0-913729-79-3. Caddes, Carolyn. Portraits of Success: Impressions of Silicon Valley Pioneers. Tioga Publishing Co. 1986. ISBN 0-935382-56-9. Cringely, Robert X. Accidental Empires. HarperBusiness. 1996. ISBN 0-88730-855-4. Denning, Peter J.; Frenkel, Karen A. A conversation with Steve Jobs. Communications of the ACM. 1989, 32 (4): 436–433. doi:10.1145/63334.63336. Deutschman, Alan. The Second Coming of Steve Jobs. Broadway. 2001. ISBN 0-7679-0433-8. Freiberger, Paul; Swaine, Michael. Fire in the Valley: The Making of The Personal Computer. McGraw-Hill Trade. 1999. ISBN 0-07-135892-7. Hertzfeld, Andy. Revolution in the Valley. O'Reilly Books. 2004. ISBN 0-596-00719-1. Kahney, Leander. The Cult of Mac. No Starch Press. 2004. ISBN 1-886411-83-2. Levy, Steven. Hackers: Heroes of the Computer Revolution. Anchor Press, Doubleday. 1984. ISBN 0-385-19195-2. Levy, Steven. Insanely Great: The Life and Times of Macintosh, the Computer that Changed Everything. Penguin Books. 1994. ISBN 0-670-85244-9. Malone, Michael S. Infinite Loop. Aurum Press. 1999. ISBN 1-85410-638-4. Bantam Doubleday Dell. ISBN 978-0-385-48684-2. Markoff, John. What the Dormouse Said: How the 60s Counterculture Shaped the Personal Computer Industry. New York: Viking. 2005. ISBN 0-670-03382-0. Stross, Randall E. Steve Jobs and The NeXT Big Thing. Atheneum Books. 1993. ISBN 0-689-12135-0. Young, Jeffrey S. Steve Jobs: The Journey is the Reward. Scott, Foresman & Co. 1988. ISBN 0-673-18864-7. Wozniak, Steve. iWoz: Computer Geek to Cult Icon: How I invented the personal computer, co-founded Apple and had fun doing it. W. W. Norton & Co. 2006. ISBN 0-393-06143-4. Steve Jobs. Steve Jobs's 2005 Stanford Commencement Address. Stanford University. June 2005. "Thoughts on Flash" by Steve Jobs, April 2010.